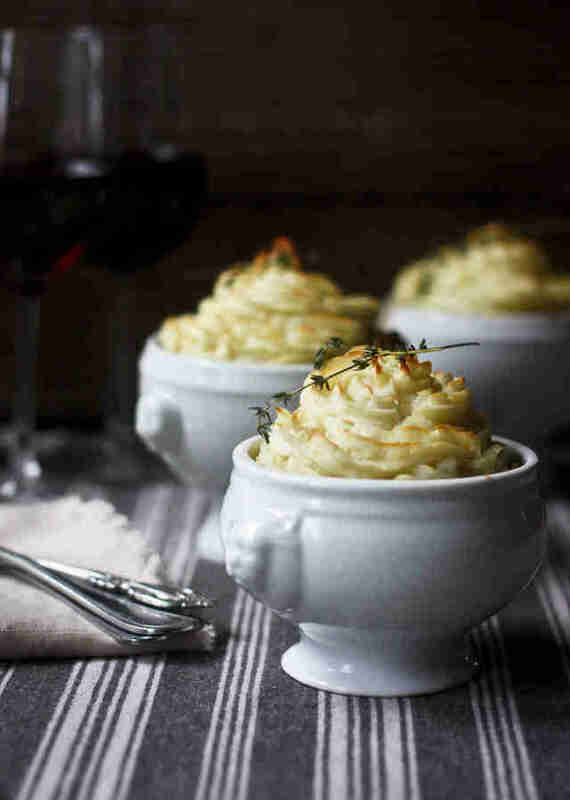 Originally from Ireland, the potato-topped meat & veggie medley known as shepherd's pie wasn't always the cold-weather comfort food none of us will really go out of our way to eat but if given the option will totally enjoy. 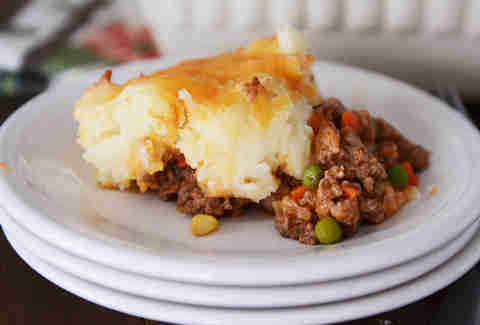 When it was first introduced sometime in the late 18th century, "cottage pie," as it was called, was simply a pragmatic way for poor folk to eat affordable potatoes and use up leftover meat. Now, because meat pie is pretty tasty even if you're not a destitute herdsman and can afford food other than potatoes, here are 10 variations on this layered delight. 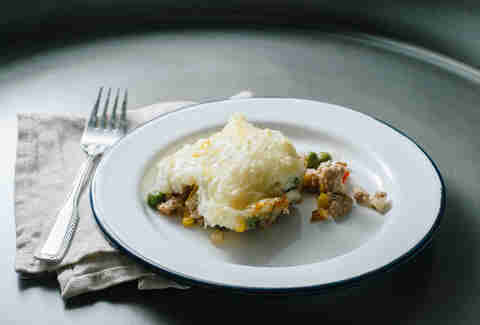 With basically only five ingredients -- peas, carrots, potatoes, onions, corn, and ground turkey -- it really doesn't get any simpler. Unless you just buy a KFC Famous Bowl. Recipe this way! Poached haddock and bechamel replace ground beef and gravy. Get it here. There's still a hefty amount of butter and milk, but mixing a head of cauliflower into the potatoes cuts down on carbs and lends the topping a lighter texture. Recipe here. The Food Network weirdo adds an egg yolk to glue everything together. Get the recipe! 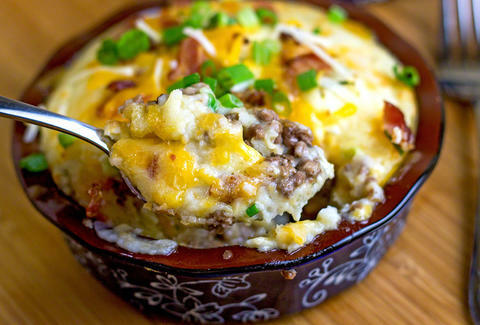 It's everything you want/expect from a shepherd's pie, but the filling is bolstered by some serious seasoning, and the potato layer's got two kinds of cheese. Recipe here. 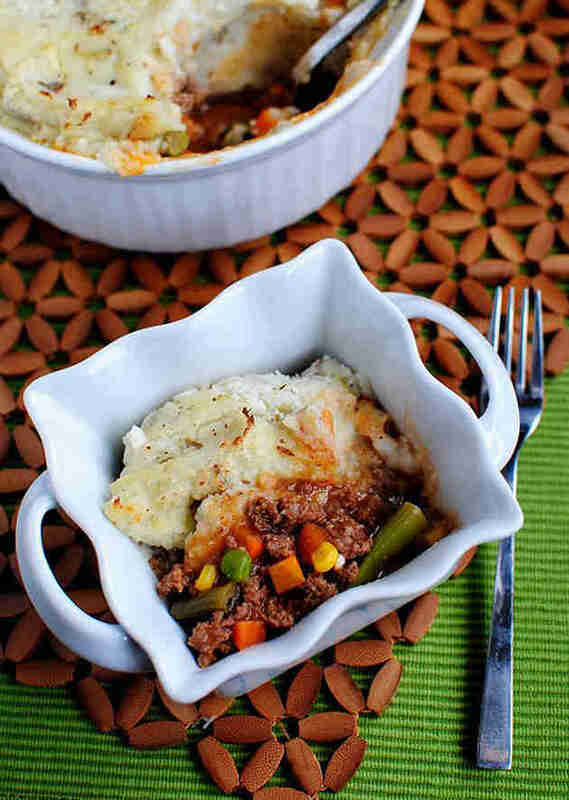 For when you just gotta have some cottage pie and don't feel like waiting for a casserole to cook. Here's the recipe. Eschew tradition and replace the meat filling with mushrooms and sunchokes. Recipe here! This is the only recipe on here with a meat filling that actually, at one time, needed a shepherd. Recipe here. 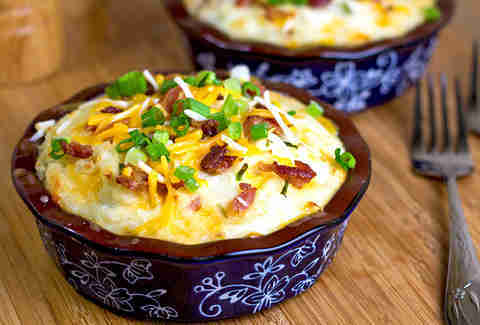 The potato topping -- with sour cream, green onions, cheddar cheese, and bacon -- has more ingredients than the classic ground beef filling. Fatten up here. Meat pie in under a half-hour! Recipe here. Carrie Dennis is an associate editor for Thrillist and suspects reality television is scripted. Follow her on Twitter: @CarrrieDennnis.